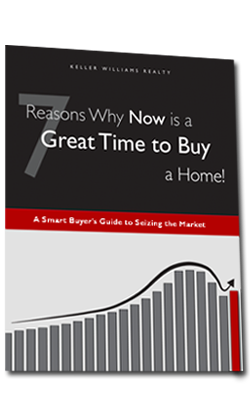 Download a free ebook, titled: 7 Reasons Why Now is a Great Time to Buy a Home. Is now a good time to buy? What trends are affecting the value of my home? What new economic policies will be shaping my real estate decisions in the coming months? Why Choose a Keller Williams Agent? When you offer a superior level of service, the word spreads fast. Keller Williams Realty – voted Most recognizable real estate brand for 2009 (Swanepoel Trends Survey). A recent Keller Williams study unearthed great information about how smart buyers are taking advantage of the current market. Download a free copy of Keller Williams' new ebook: Opportunity is Knocking: Your Guide to the Ins and Outs of Buying Distressed Properties. Try our free mortgage calculator to get an idea about down payments, monthly payments, etc.